On Finding a Rubbish Bin in Japan | This Japanese Life. Posted on February 8, 2012	by E.
My coat pockets are filled with scraps. I dredge up chewing gum wrappers and konbini receipts when I fish for change. There’s no garbage on the street, but there aren’t garbage cans, either; everyone just carries their trash with them. Some say rubbish bins are rare because of recycling laws, or because people don’t walk and eat at the same time. But the real reason is something nobody wants to talk about. You can’t find a rubbish bin in Japan because of a religious cult that killed 13 and injured 5,500 while trying to install a messianic yoga instructor as the new Emperor of Japan. Shoko Asahara was 29 when he started a yoga and meditation class in downtown Tokyo, the Aum Club. Asahara had lost most of his vision to childhood glaucoma and had followed a Japanese tradition of blind acupuncturists. He had opened an unlicensed Chinese Medicine shop in 1981 and began to tie various Chinese philosophies – as well as Christian doomsday prophecies and the writings of Nostradamus – together into a single practice, united by a penchant for science fiction stories. After his business was fined for selling medicine without a license, Asahara quickly achieved enlightenment after a brief trip to India in 1984. The Aum Club began to reach out to the public through pamphlets, books, anime and music cassettes. The club grew so quickly that Aum Shinrikyo was officially recognized by the Japanese government as a new religion, and promptly established a monastic order. But nasty rumors had already been circulating – stories of kidnapping and extortion. 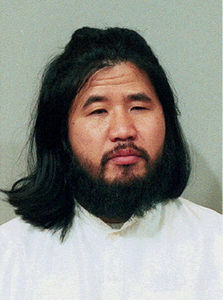 Asahara began selling byproducts of his body to followers. They’d drink his bath water at outrageous prices, or brew tea with his beard trimmings. Some would consume small vials of his blood with vague promises of spiritual benefits. An anti-cult lawyer, Tsutsumi Sakamoto, saw an opening. Test the blood for its so-called special properties and then charge the cult with fraud. He convinced Asahara to submit to a blood test. When the results showed Asahara was human, Sakamoto taped an interview with Japanese television broadcaster TBS. TBS – for reasons no one can explain – showed the tape to the cult. Shortly afterwards, Sakamoto, his wife and their 14-month-old child disappeared. 10 years later, investigators found that they were beaten and injected with potassium chloride, their bodies shoved into metal barrels and hidden by Aum Shinrikyo cult members. For Aum Shinrikyo, hastening the apocalypse was the first order of business. Asahara’s crew recruited scientists and invested millions (earned through donations, and the sale of Asahara’s books, blood and bath water) into laboratories designed to build weapons straight out of their beloved science fiction novels. Recruiting top minds from universities and medicine, the cult had built a military-grade laser beam capable of cutting iron plates in half and had destroyed the body of an escaped cultist’s brother using a giant microwave incinerator. One of Asahara’s apocalyptic ambitions was to create a laser so powerful that it would illuminate the sky – the white sword of the end times, as mentioned in the Bible – and use it to destroy the world. Interestingly, despite its technological skill, the cult failed to produce its own machine gun factory, consistently failing to produce a home-grown AK-47. Aum Shinrikyo had far greater success with biological weapons. The Tokyo Metro is the busiest subway in the world, with trains departing every 5 minutes to carry 6.3 million people a year through the heart of the largest city on Earth. At rush hour on March 20, 1995, these trains became sarin gas chambers. Cult members pumped the liquid into plastic bags, wrapped the bags in newspapers and then poked them with umbrellas, releasing vapors into a tightly compressed space with limited air. Five members of the Aum Shinrikyo cult participated, including a heart surgeon who had administered electric shocks to disloyal cult members; and three physicists, two of whom worked on the cult’s laser beam project. The fifth member had been suspected of disloyalty, and his role in the attack was a way to reassure the cult of his allegiance. Each man entered a different train and punctured the bag before getting off the car. The liquid form of the gas would leak through the newspaper, slowly transforming into a gas. Sarin vapor penetrates the skin, causes difficulty breathing, and then leads to a loss of muscle control, causing seizures. The gas can also cause blindness, a grimly ironic result of a terrorist attack masterminded by a blind acupuncturist. Interviews with victims from Haruki Murukami’s book, Underground, had witnesses describing what would be a surreal scene by American standards: People on a bus, coughing and falling to the ground, but no one asking each other what was going on or trying to help the most distressed victims. Most people, perhaps traumatized or otherwise conditioned by a lifetime of minding one’s own damned business, simply left the train cars and went on to work. By the time train station employees had cleared the trains, 5,510 people had been injured. Hospitals weren’t prepared for the onslaught, and many hospitals turned patients away. In another highly criticized response to the attacks, media trucks – despite having already been unloaded of camera crews – initially refused to drive the injured to hospitals. None of this would yet explain the shortage of trash cans on the sidewalks of Japanese cities. To understand that, you need to know about the aftermath of the gas attacks and the hysteria that it sowed. After Sept. 11, when anthrax arrived in envelopes addressed to media figures and politicians, friends would talk about seeing snow and panicking that it was a biological attack. The Aum Shinrikyo attacks spawned similar fears. For a month after the attack, its leaders were still at large and compound raids revealed an almost incomprehensible range of potential weapons: Live Ebola cultures, Anthrax, a military helicopter. Ten days after the attack, the chief of the National Police Agency had been shot and wounded, and Asahara – still at large – warned of a major attack on April 15. That day passed without incident, but on May 5, a bag of burning cyanide was found near one of the ventilation ducts in a Tokyo subway station. Undetected, it could have killed 20,000 people. Japan was reasonably swept up into a hysteria, and people demanded action. Dumbfounded managers and politicians stamped approval on all sorts of security measures. Just as Americans began fingerprinting foreigners, checking passports at the Canadian border, and routinely removing our shoes to check for bombs in the soles, Japan went ahead with its own acts of “security theater,” actions that make people feel safer but don’t do anything to actually prevent terrorist attacks. One of these security performances was the removal of rubbish bins from public streets, parks and subway stations. Which is why you can’t find one in Japan. Anyone tempted to dismiss this as excessive, or part of a “wacky Japan” reaction to terrorism, should look again at the irrational reactions to fear in our own culture. It seems as if there is an innate human need to translate overwhelming trauma into something within our sphere of control, no matter how small. Americans throw water bottles away at the airport, the Japanese carry them home. 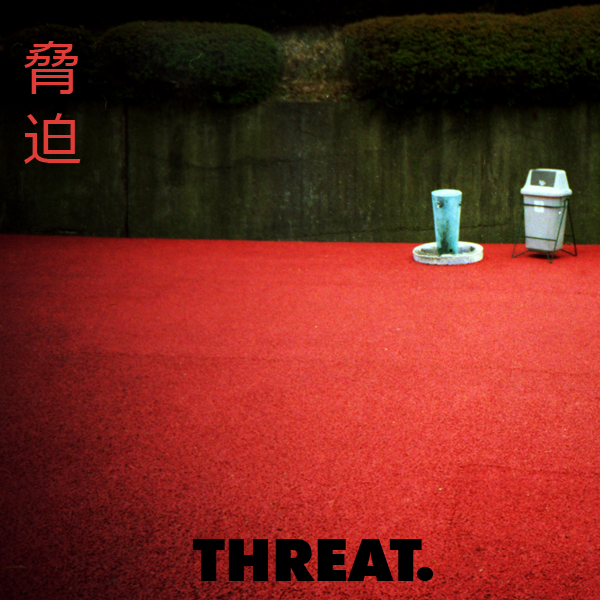 If you’re a fan of garbage, you can follow This Japanese Life on Facebook. This entry was posted in Culture Shock, Weird and tagged cults, japan. Bookmark the permalink. They’re still no bins in most British train stations due to the IRA’s charming habit of dropping high explosives in with their Macdonald’s wrappers back in the 80’s and early 90’s. Underground is a book which prompts a lot of emotions in me, few of them happy. I was reading it as my ‘commute book’ in early July 2005, and stubbornly kept doing so after the 7th. Because if you let them stop you acting normally, then they’ve won. Also because it meant no-one sat next to me (which was a good thing in London, but infuriating in Japan. Fickle? Me?). I love the Gaijin Bubble on the subway. It’s like flying first-class. In Warsaw train stations there are bins but there is no a single bin on metro stations. 1. Sakamoto’s murderers were not captured until after the sarin attacks. The police could not establish Aum’s involvement, and couldn’t just go and investigate anyway because Japan takes freedom of religion really seriously. 2. Unlike, say, Al Qaeda, Aum Shinrikyo was actually allowed to continue operations in Japan for about two years after its successful terrorist attack. It was only banned in 1997 when some of its other activities interfered with what the public considered to be the role of the state. I can recommend a documentary on this. 3. Religious scholars on both sides of the Pacific were giving Aum complete support. After the sarin attacks, some scholars actually flew into Tokyo and denounced the police for investigating Aum. 4. The section “The New Religions” is completely off base and actually kind of ignorant. You clearly have not read anything about the topic, so I’m not even going to bother explaining it unless you’re genuinely curious. 1) I didn’t say anything to contradict what you’re saying. The people convicted of the murders were cult members. 2a) If you’re talking about the documentary “A,” I’ve watched it in researching this article. Would be interested to hear your other recommendations. 3) I knew that about the religious scholars. Ducks do quack, from time to time, so hearing that new-age apologists would state opinions based on zero evidence is hardly a surprise. I did research on Aleph’s online recruitment techniques circa 2008, and that was the single most depressing semester of my higher education. A and its sequel A2 are great documentaries on the status of the group after their exposure as the perpetrators. Every metro station in Tokyo has bins at least at the entrance / exit of the station. Every non-metro (JR) station has bins on the platform and the entrances / exits. Every Convenience store has bins (about every 200 meters in populated areas). Every point in this article about rubbish bins was contrived. I was about to say, I don’t remember about Tokyo but in Osaka it’s trivially easy to find a trash can. You’ve acknowledged the existence of the privately owned rubbish bin on the JR and at 7-11. Note, though, that they are absent from street corners, public parks, and other public, municipality-run places that I’d usually expect to find them. Your argument would work if I had said, say, “Japan has banned all trash containers.” But I haven’t. We’re both aware that private entities are still allowed to buy garbage cans. In fact, I own one, and keep it in my home. I didn’t even have to register it with local authorities. But it seems that trash cans have fallen out of favor, particularly by municipal governments, because they’re still vaguely associated with the risk of terrorism. As Japan is hyperlocalized, it will vary by municipality, but where I am, the cops say the same thing: I’ve asked if there should be more garbage cans and from their perspective, it’s not worth the risk. Recycling bins for drinks have not been removed. Why not? Oh… somebody’s making money by selling the drinks. Since the train platforms in Tokyo have commercial space for drink machines, and their receptacles, but ‘security-theater’ makes it impossible to responsibly throw away my litter without carrying it all the way home, I simply put my garbage in the bottle-recycling bins. Despite the OCD sorting of garbage in Japan, all of it is burned, so it doesn’t matter where you bin it. I wanted to swing by and say thank you so much for the comprehensive post. I was sitting down to do a post on this for by blog, and ended up getting pulled into your very detailed post on this. Im hooked on your site now! It’s the same in London. But we now have bins in some places because no one has put a bomb in a bin in years. Then he preceded to take the trash from my hands and throw them on the ground. I was horrified! I used to have a friend in alternative health and wellness who passed herself off as a healer and became frustrated when people didn’t treat her like an all knowing powerful messenger from god. So she tried to start gatherings and prey on weak acquaintances, telling them they need to pay for treatments with her or else they will get ill. Some people started to believe her – it was really scary. This crazy person is not my friend anymore. Excellent article. I knew about Aum Shinrikyo and read Murakami’s Underground, but I never made the link between the sarin attacks and the absence of public trash cans. Driving across Japan in a rented campervan with an overflowing bag of rubbish right now, this was very interesting to read. Thanks!